From the outside, Rachel looks like the perfect daughter in the perfect family. She’s a straight-A student, a gifted musician and she’s got great friends. The problem is her older brother, Charles – a rude, manipulative troublemaker who undermines everything she says or does. And now her best friends seem to be falling under his charming spell. They tell Rachel to lighten up and enjoy the end of seventh grade. Easy for them to say. Not so easy for Rachel to do. Not even when Jeremy Dragon, the coolest boy in ninth grade, notices her. 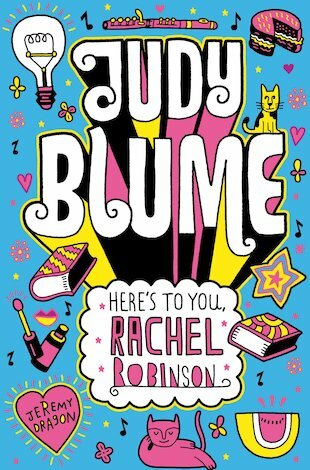 Can Rachel learn to be happy in spite of the fact that life isn’t always perfect? Judy Blume is the much-loved author of many books for children and young adults, including Are You There God? It’s Me, Margaret and Tales of a Fourth Grade Nothing.